Peter has been a communications professional for over 25 years, – specializing in science, biomedicine and healthcare. He has worked with Vital Venture Networks and its founding partner for more than a decade. Most recently, in 2009-10 he assisted VVN at the Research Triangle Institute (RTI International), in North Carolina, helping to plan a restructuring and to set strategic goals for two of its key departments: Drug Discovery and Analytical Sciences and Government Affairs. At VVN he has helped to organize four “Venture Showcase” events in California and New York at which emerging biotech companies and the most promising university-based biotech start-ups have been brought together with venture capitalists. A former correspondent for the Asian Wall Street Journal in Southeast Asia and news editor of the U.S. edition in New York, he has held many editorial positions over the years and is currently senior science writer at Cold Spring Harbor Laboratory. Since 1997, Peter’s professional career has centered on biotechnology and the life sciences. He has served as a consultant to academia and industry as well as a professional writer and university lecturer. Beginning in 1997, as director and program coordinator of Connections Corporation, he was responsible for developing three annual international biotechnology summit meetings involving academic, industry and venture capital leaders. He also programmed the “International Life Science Summit,” at Georgetown University, and the “Health in the Digital Age Summit,“ at Stanford University. His related publications include Science-Based Companies For The 21st Century; Webs of Interaction: The Scientific, Human, and Institutional Foundations of Genomics and Commercial Biotechnology; and Biotech at the Millennium: Getting Down to Business. Peter has been engaged by leading institutes, universities, and biotechnology companies during his career and has written three annual reports for the University of Maryland’s Biotechnology Institute (UMBI), and in the early 2000s worked for the San Francisco-based biotech firm Tularik Inc. (since acquired by Amgen, Inc.), as the chief author of Tularik’s annual reports. In his present position as senior science writer at Cold Spring Harbor Laboratory (CSHL), Peter has focused on developing means for reporting science news at CSHL “in process,” stressing the “doing” of science by integrating multimedia story-telling tools. Peter has a master’s degree in Journalism from the Graduate School of Journalism at Columbia University, and M.A. and Ph.D. degrees in History from Cornell University. Deeply committed to teaching, Peter is a lecturer in nonfiction writing at the Center for Programs in Contemporary Writing at the University of Pennsylvania, where he offers courses on science writing, the impact of science upon society, and global journalism. Early in his career, Peter was for six years a foreign correspondent based in East Asia, writing for the Christian Science Monitor, the Los Angeles Times, The Nation, the Asian Wall Street Journal, and other publications. His interest in American activities in Asia led to two books and advanced degrees in history from Cornell University. 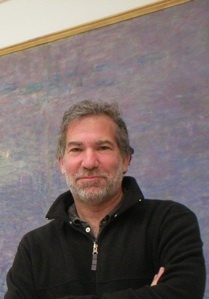 In the 1990s, he taught history and nonfiction writing at Cornell University.